Preparing for retirement can take you into uncharted waters. To map out the route best suited to your particular needs and objectives requires the guidance of a knowledgeable, experienced team of professionals dedicated to your best interests. 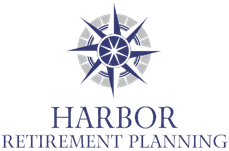 As a leading independent retirement plan consulting firm, Harbor Retirement Planning is dedicated to working with individuals and families to help protect and grow YOUR money. We are independent advisors with no hidden agendas. We are dedicated to working with YOU. Using a personal approach and a wide variety of resources, we explain all of your options and create customized long-term strategies to help grow and preserve YOUR wealth with an appropriate level of risk.